and defense for Newark this fall. 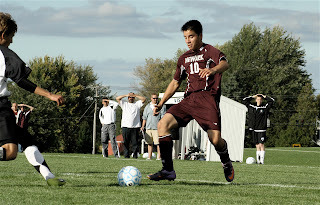 NEWARK (Oct 25 10) – The Newark boys’ soccer team’s unfortunate fate of dropping close games continued last week in a 1-0 loss to Penn Yan Tuesday night, and a 3-2 overtime heartbreaker defeat at the hands of Mynderse on Friday night. Coach Sandy Bueso said the Penn Yan game was “a great game by both teams. It was 0-0 at halftime. With 36 seconds left to play, the referee awarded Penn Yan a penalty kick.” Dan Burdette punched the ball past Newark keeper Nate Otero, who had made 13 stops to that point. On Friday’s last regular-season game, the Reds got on the board first when James Jock scored off a Vicente Andrade feed. Mynderse, which was seeking the top seed in Section V, Class B, came right back to tie the score a minute later. Against Newark scored, this time Kevin Zappia finished off an Andrade pass to bump the Reds ahead again, 2-1. But Mynderse responded with another game-tying score…and it was halftime. The deadlock continued into a second overtime, when Andy Lucchesi grabbed the game-winner for Mynderse. “This was a tough loss,” said Bueso. “I’m very proud of the boys’ program. Now we are looking forward to our sectionals game at Honeoye Falls-Lima on Wednesday.” The Reds are 4-8-2 in the Finger Lakes East, 4-10-2 overall. Marion’s guys will go into action on Friday at 6:30 p.m. in the second round of the Class C competition, playing either Perry or Bolivar-Richburg. Wayne plays Brighton in Class A on Wednesday. into sectionals action this weekend. Williamson takes on Greece Odyssey Thursday afternoon, and North Rose-Wolcott is at Holley that night – both Class B games. 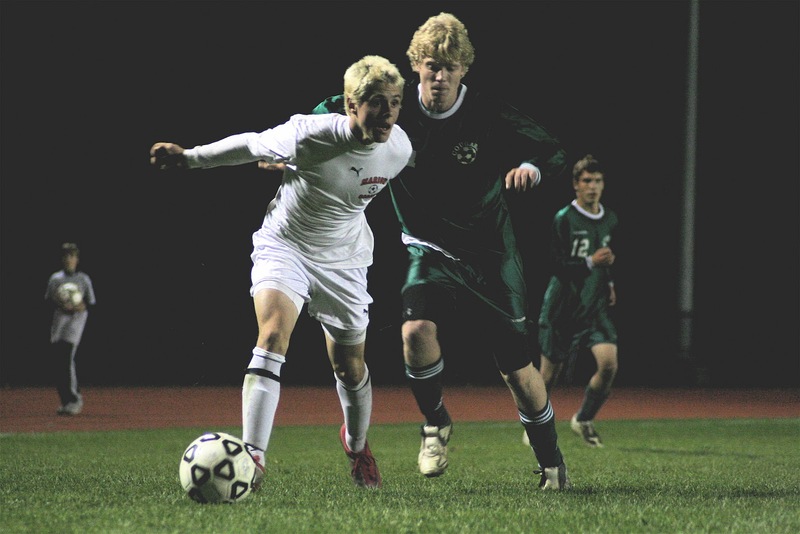 On Saturday, Pal-Mac hosts either Greece Arcadia or School of the Arts, at 6:30 p.m. The distaff sectionals competition starts tomorrow with Newark at Pittsford Sutherland at 3 p.m. in Class A game. Sodus plays Marcus Whitman in Class B at 3, and Gananda hosts Pembroke in Class CC at 6 p.m. Marion hosts winless Dundee at 6 p.m. in a Class C opener. Lyons takes on Keshequa at HF-L. The Pal-Mac girls host Brighton and Wayne will do the same for Batavia, both on Wednesday at 6 p.m. On Friday, North Rose-Wolcott opens in the Class B quarterfinals against LeRoy. 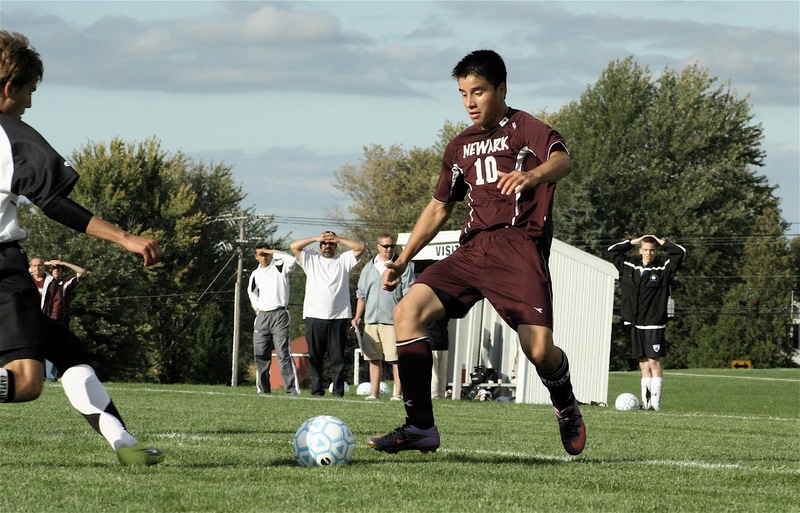 0 Comments to "SECTIONALS SOCCER BEGINS THIS WEEK; NEWARK LOSES LAST TWO REGULAR-SEASON GAMES"